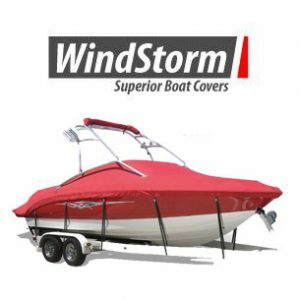 Simply the best way to protect your boat from snow, rain and the elements. 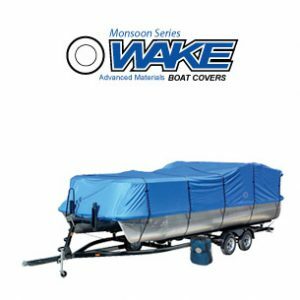 Fisher Boat Covers are made from 12.5 oz Sunforger that's been treated with Duraffin, which makes the cover highly water repellent, mildew and UV resistant. Duraffin never needs to be reapplied, it will last the life of the cover. 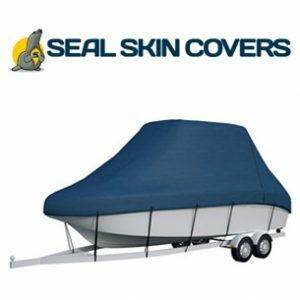 Each cover is custom made for the year, make, model and options of your boat. These are not off the shelf covers. 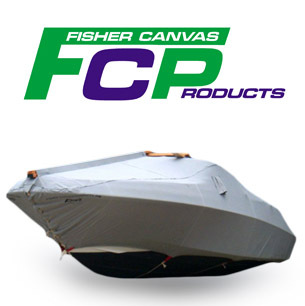 Fisher Boat Covers are guaranteed to fit your boat when they are installed and supported properly. You can expect 8-10 season from your cover, however there are covers that are going on 15 and even 20 years on their boats. 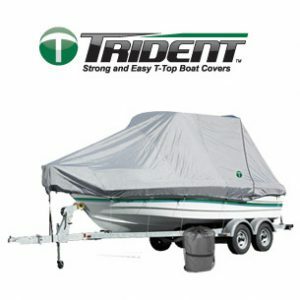 These covers are made for winter storage and trailering is not recommended. Zippers are available to access inside the boat while cover is in place.